The Texas Junior Cup presented by TCG Advisors is an annual competitive event between the Northern and Southern Texas PGA Sections. This fiercely contested rivalry between two sister sections is marked by close matches, dramatic shots, uncompromising sportsmanship, and new friendships. Each team consists of 12 junior golfers (six boys and six girls) who are 12 years old and younger. In this Ryder Cup-style event juniors player three 9-hole matches in three different format styles. 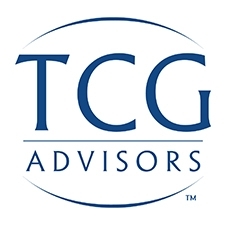 The 8th Annual Texas Junior Cup Matches presented by TCG Advisors will be held at The Club at Carlton Woods (Fazio Course) on September 28-29, 2019. There are three different championships for players to earn a spot on the Southern Texas PGA Texas Junior Cup Matches Team. Below are the two events, this Spring, in which the champion in the listed divisions will earn a spot to represent Team STPGA. Note 1: In the event of a tie, there will be a hole-by-hole sudden-death playoff immediately following play. Note 2: In the event that any of the players have already met the qualifying guidelines for the Texas Junior Cup team, the next best finishing player, not already qualified, will qualify for the Texas Junior Cup team. If, after the third best finishing player, not already qualified, cannot make it, the Texas Junior Cup Captain will select a replacement. Note 3: In the event that a qualified player is unable to compete in the Texas Junior Cup Matches due to injury, illness or scheduling conflict, the Texas Junior Cup Captain will select a replacement. Note 4: Should a player turn 13 by the start of the Texas Junior Cup Matches after qualifying when he or she was 12, that player will be allowed to compete in the Texas Junior Cup Matches. To view past Sites and Captains, please click here. To view the Overall Match Summary, please click here. To view Individual Records, please click STPGA or NTPGA. hours until Summer event registration opens!